Matsui asked the 2nd Unit to kill a monster (first OVA Episode 4) and has been linked to the 2nd Unit ever since. He raises his eyebrows at Gotoh's flabbergasting acts, but secretly acknowledges his ability. He's an unusual type for this day and age in that he prefers to conduct investigations on foot...slowly, but surely cracking the case. 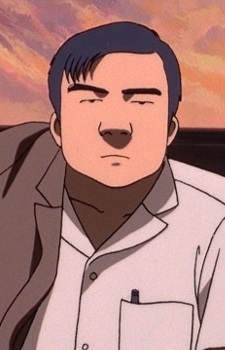 At the request of Gotoh, he plays a part in investigating Hoba with his subordinate Kataoka, uncovering clues to the mystery.